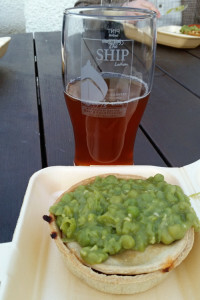 On Friday I went to The Ship at Lathom’s 4th Annual Beer and Pie Festival with the Hubby, my Bestie and her Fella. Unfortunately I was unable to find a vegan friendly beer there (I emailed most of the breweries who were taking part who all confirmed that isinglass was used in the fining process) however all the ciders were safe and there were not one, but TWO vegan pies!!! 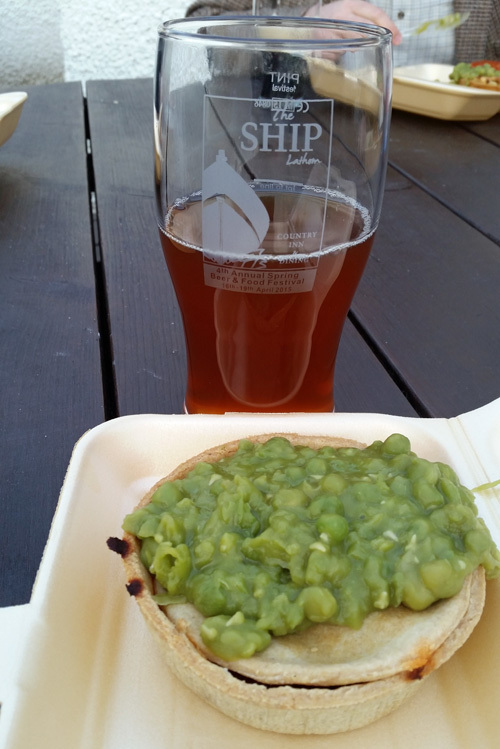 And I made the discovery of the decade… I like mushy peas! I’ve hated them since childhood but something told me to give them another chance, and I’m so glad that I did. Spicy bean and mushroom pie, topped off with mushy peas and washed down with a “Strawberry Fields” cider. We stayed over at the Bestie’s house so on Saturday (after a lovely breakfast of croissants, crumpets and cinnamon rolls) we trotted off to Southport to do some shopping followed by a fabulous tea at a Turkish restaurant called Havin. We had hummus and Patlican Tarator (sans yoghurt) with bread for starter followed with the Sebze Guvec (sans feta). The day was completed with a nice walk up the pier and a scout around the arcades. I’ve had a mostly lazy day today, although I have been experimenting in the kitchen. I made bread rolls and seitan but today I am sharing my cheezy biscuits recipe! Put all of the ingredients into a bowl and mix until a smooth dough is formed. 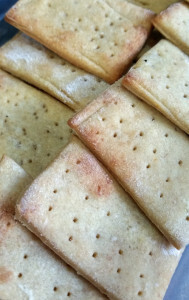 Roll out onto a lightly floured surface and cut out the crackers using a knife or pizza cutter. 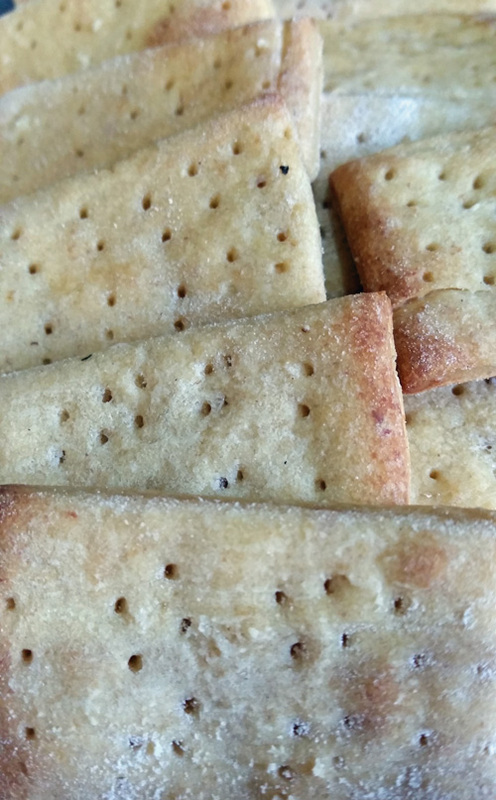 Place each cracker onto a greased baking tray and prick with a fork. Bake for 12 – 15 minutes at 180oC (until golden brown and slightly puffy). Carefully transfer onto a wire rack and allow to cool. I intend on taking mine to work and eating with Toffuti cream cheese and a little mango chutney.